This fascinating book presents all major patterns of art glass from the Martin House Complex with full-color images and text from leading Wright and art glass scholars. 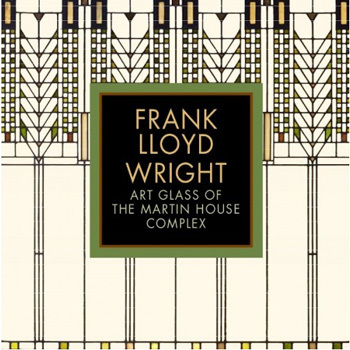 Original drawings, historic photographs, floor plans, excerpts from Wright's personal correspondence, and an interview discussing current art glass craftsmanship add to this comprehensive survey of the exquisite art glass designs found at Frank Lloyd Wright's Martin House Complex. Edited by our Curator, Eric Jackson-Forsberg. Hard cover, 96 pages.